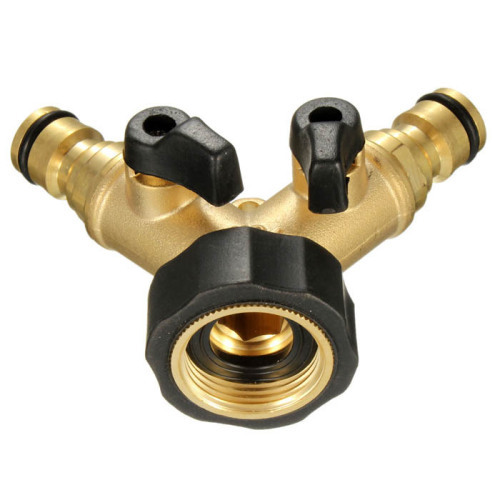 Inlet Connector: swivel 3/4"female thread connector.TPR jacket for good feel. 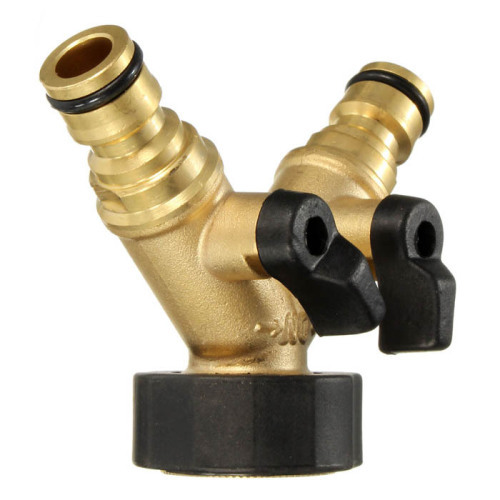 Valve: Plastic handle to control the water flow,control water on/off too. 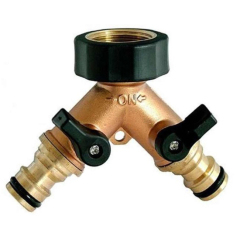 Outlet Connector; 2pcs male quick connector as outlet connector,it is easy to joint female quick connector. The inlet connector is 3/4" female swivle connector with TPR coat. The plastic handle control the water on/off and water flow. 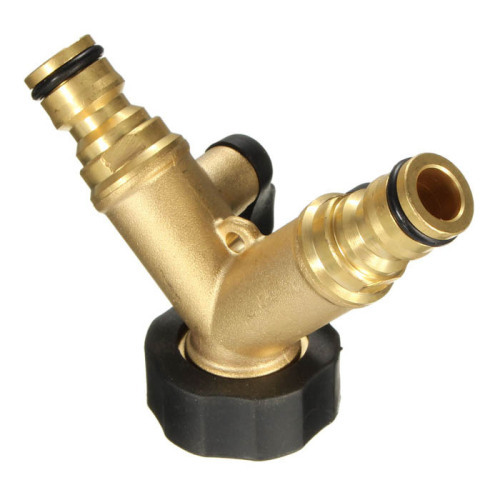 Bluebird Brass soft water hose splitter is a ideal product for one water faucet in garden.It can be split water to two water source,so peaple can use water at the same for different purpose.When you car wash outside,your child can water pet at the same time.If you joint 3 or more brass soft water hose splitter together,3 and more people can use the water at the same for different purpose. 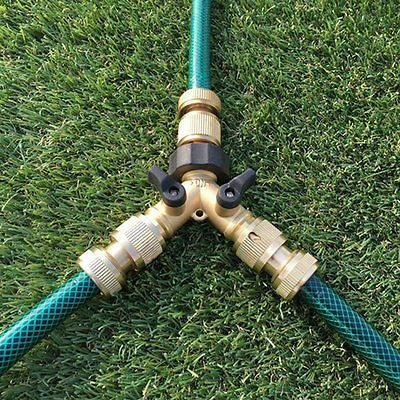 Save time and save water,it is the best brass soft water hose splitter from bluebird garden. Transfer by air or by sea is option. Q: Can i get sample from you? 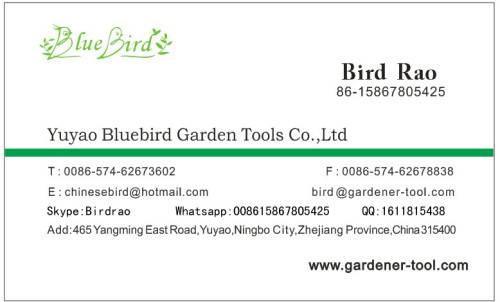 Q: Can i take small quantity as test order?